With the summer months come the beloved farmers markets where fresh fruit and vegetables are in abundance. To help you put some of that fresh produce to good use, we created these fresh fruit cocktails. Go ahead, put your feet up and enjoy the freshness of summer while the sun shines down from the sky. We love cocktails year round, but there's something about the summer months that makes them just a little bit sweeter. Maybe it's the warmer weather or the longer days. Or maybe it's the many fruits we can find at the farmers market to use in our beloved libations. Whatever it is, we are sure you'll enjoy every last sip of these fresh fruit cocktails. Cheers. Add mint leaves and lemon juice to a cocktail shaker and gently muddle. Add cucumber vodka, Velvet Falernum and watermelon puree and fill shaker with ice. Shake and double strain into a rocks glass filled with ice. Top with soda water and stir. If the drink needs a little sweetening, add simple syrup to taste and stir. 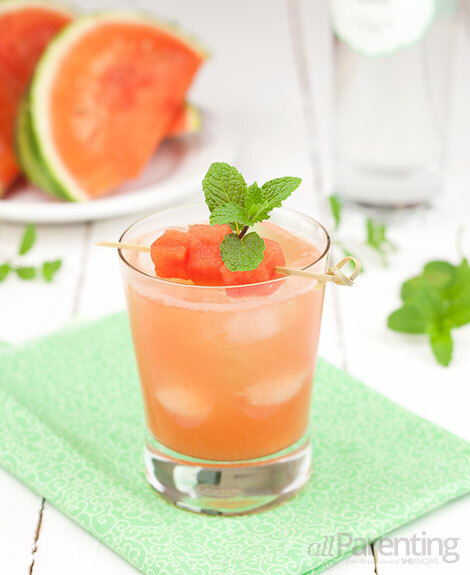 Garnish with the skewered watermelon cubes and a sprig of mint and enjoy. ^For more watermelon cocktails try the watermelon mojito and watermelon lime sangria. If desired, rim half of a cocktail glass with lime and dip in margarita salt. Add basil and lime juice to a cocktail shaker and gently muddle. 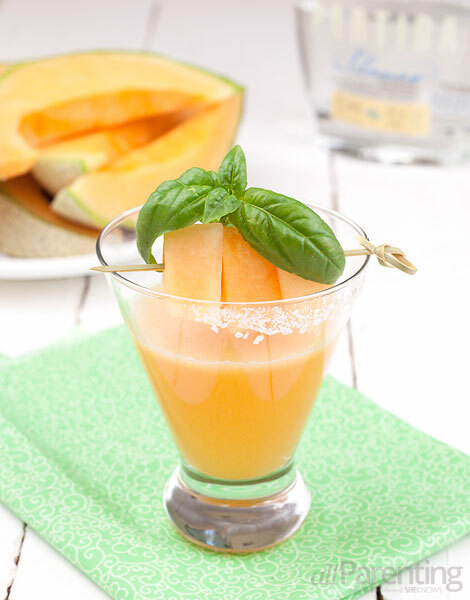 Add tequila, cantaloupe puree and agave nectar and fill shaker with ice. If you didn't rim the glass, add a pinch of salt to the shaker as well. Garnish with the sprig of basil and skewered pieces of cantaloupe and enjoy. Add all ingredients except for garnish to a blender and blend until smooth. Pour into chilled margarita glasses and garnish with lime wedges before enjoying. 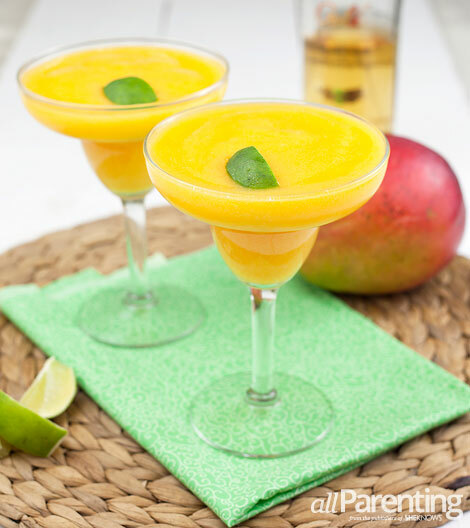 ^For another drink with mango, try the mango martini.